Episode 121 – On this weeks show we speak with ELS2900 race director, Matt Lefort, about his super tough Andorran race. Niandi brings us a selection of audio, recorded in the Simpson Desrert, as Australia’s 2016 Big Red Run took place. 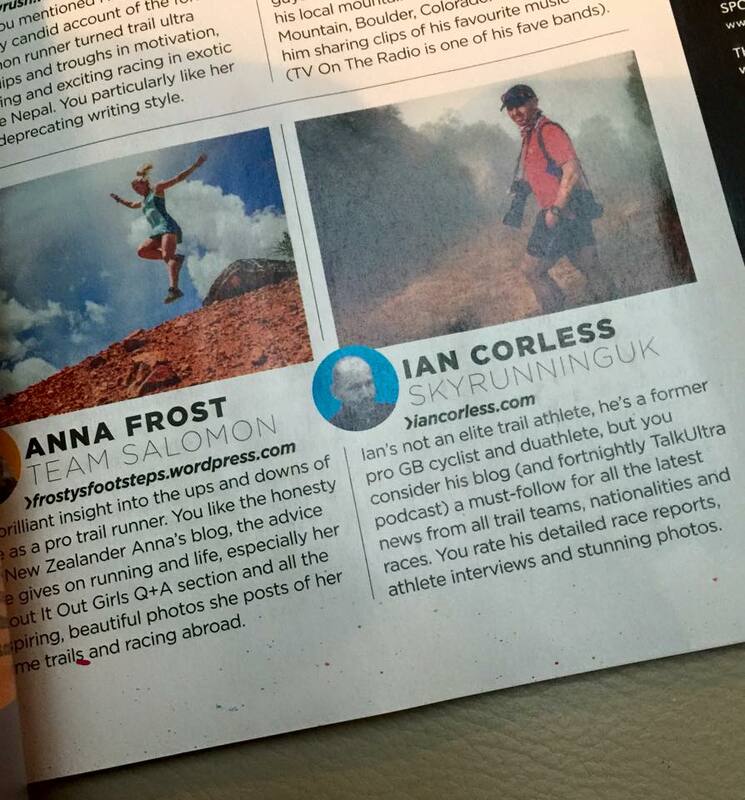 Ian is interviewed by a Portuguese magazine and Speedgoat is back co-hosting! Marc Lauenstein defended his Otter African Trail Run title in South Africa, and set a new course record in 3:54. Robyn Owen and Stevie Kremer placed 1 + 2 with Owen winning in 4:49 to Kremer’s 4:52. Full results. A 4.16-mile loop of trail every hour. Those that finish the loop in an hour move on to the next loop and this continues until the last runner standing!Babak Rastgoufard won in 28:48 and gets a place in the Barkley Marathons. 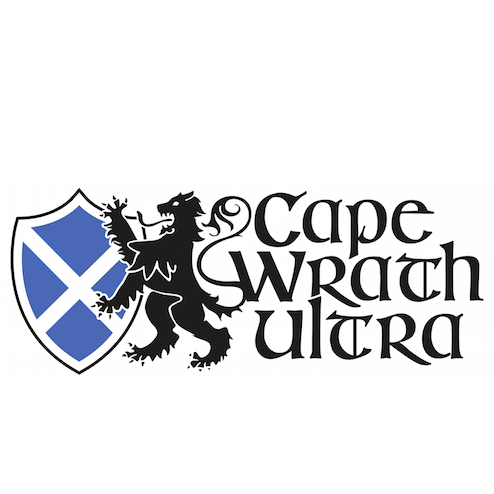 6,700 meters of elevation gain over just 70k (44 miles). Thirty-nine competitors started the race, and 24 managed the improbable finish. Xavier Teixido, finished in front at 13:49. Vivien Reynaud and Òscar Perez were second and third in 15:18 and 15:38. 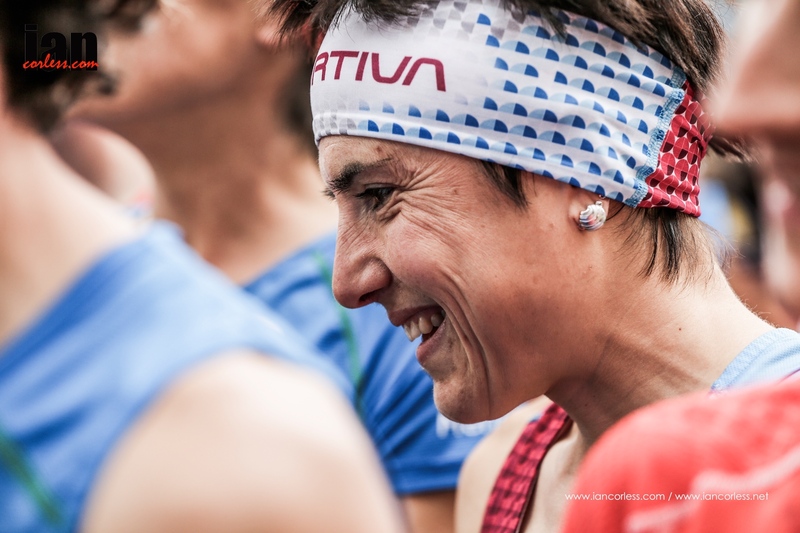 Sonia Regueiro became a two-time finisher and winner, this time 18:59, three hours faster than her finish last year, and Cati Lladó was second in 21:26. 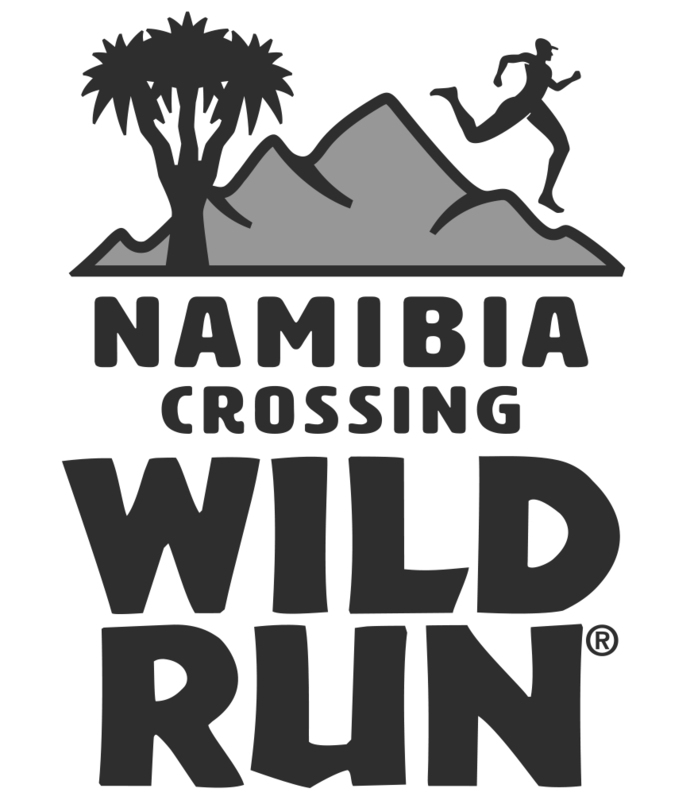 Mike Foote, race director for ‘The Rut’ races had to make the tough call this morning at 0500 and confirm that the ULTRA race would go to a plan B route. Rain, snow, cold temperatures were all rolling in and the potential hazard to all participants was too high. 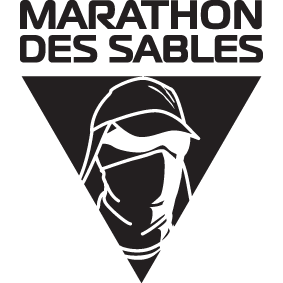 It’s a decision no race director wants to make but as the day unfolded it was the correct decision. The plan B route unfortunately removed all the key Skyrunning elements of the original course leaving the opening third unchanged with the first 12.1 miles remaining the same as the original course (Soul Hole-Tango-Challenger service road-Moonlight-Ullery’s Lake loop-Madison Connector-Madison Village-Moonlight Loop trail-Elkhorn trail). 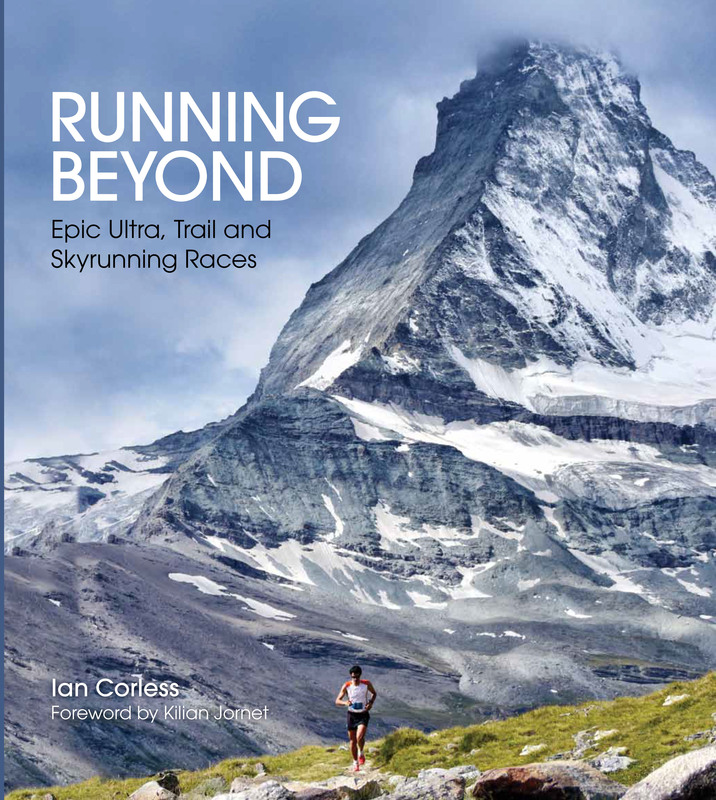 The middle section of the course, Headwaters Ridge and Lone Peak sections of the original course were simply too exposed and technical to be safe for runners or safety personnel in the event of a major storm on race day and they were therefore removed. This therefore confirmed that “Plan B” would be in place and the new route would remain approximately 50% true to the original course. 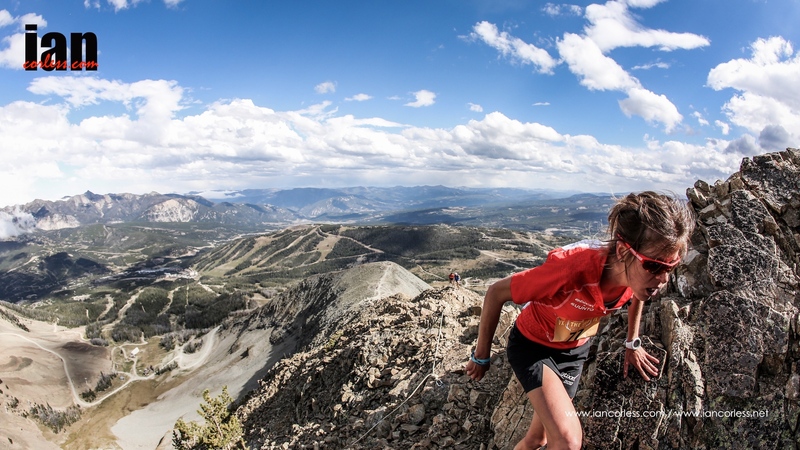 This change would mean that the course would stay off the high exposed ridgelines and not go to the summit of Lone Peak – the Skyrunning element was gone and ultimately this would have a huge impact on the race. At Swiftcurrent lift where the runners would have turned right for the tough and challenging climb to Lone Peak followed with the technical descent off the summit was replaced with a run along an access road and a descent through a rocky boulder field before heading back up to Dakota lift and rejoining the original course for the run to the line. In the opening 2-hours low mist hung around and temperatures were actually surprisingly warm despite the forecast and I am sure many were thinking, we could have run the original route. Then at Swiftcurrent, about 16 miles into the course the rain started to fall and then the snow. The temperatures plummeted and suddenly it was difficult to remain warm. The front end the race was moving fast and generating heat but as you moved through the pack and as time past, the pace of runners changed and those who were starting to walk were really feeling the impact of the conditions. 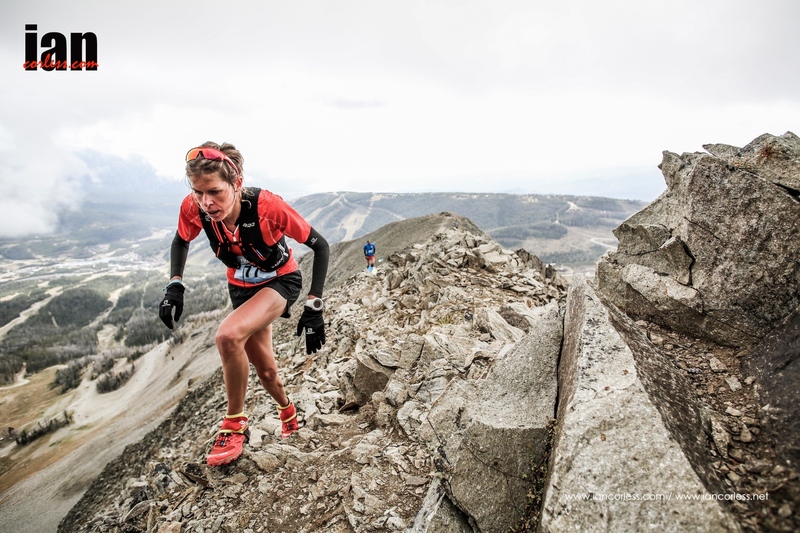 With the main climbing and technical sections removed, the new route most certainly suited those who can run… Chad Trammell from Alaska was dictating the pace followed by Scott Patterson who placed 3rd in Friday’s VK. 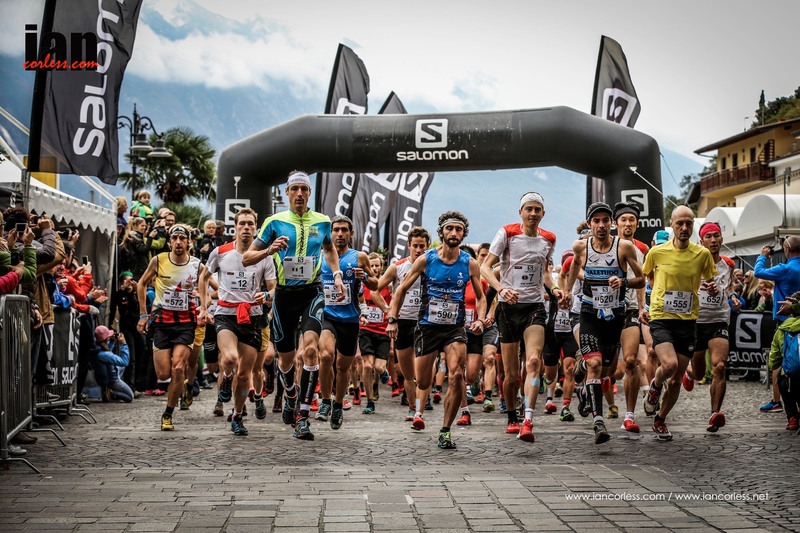 Salomon Team Manager, Greg Vollet pursued as did Cristofer Clemente and last years 3rd on the podium Matt Shyrock. As the terrain became more challenging, Greg Vollet used his downhill skills to take the lead but Cristofer Clemente was playing the wise game, just as he did in Madeira. He slowly moved up into 3rd and then on the final descent he unleashed an all out effort to catch and pass Greg and Chad. Cristofer cruised into the line in 3:51:53. Greg finished +1:38 later just managing to hold off Chad who took the final podium place just 16 seconds later. 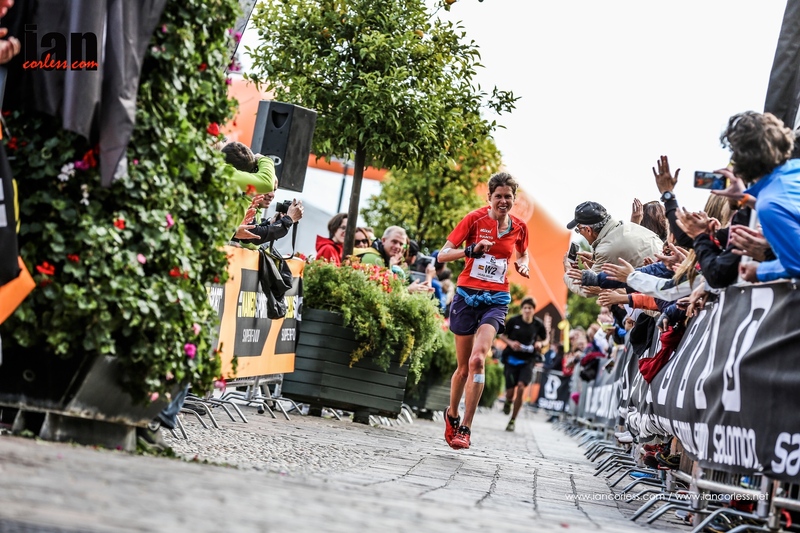 Cristofer’s victory here follows on from victory in Madeira and he therefore heads the 2016 Skyrunner® World Series with everything to fight for in late September at Ultra Perineu. 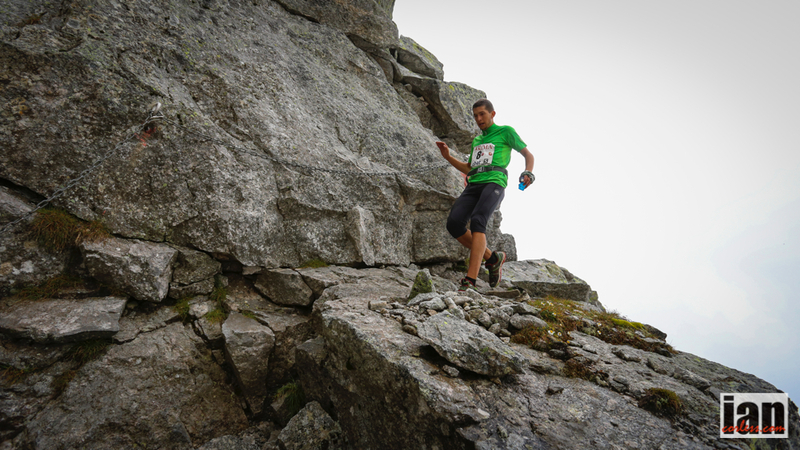 In the ladies’ race, the revised and more runnable course played into the hands of Ida Nilsson. 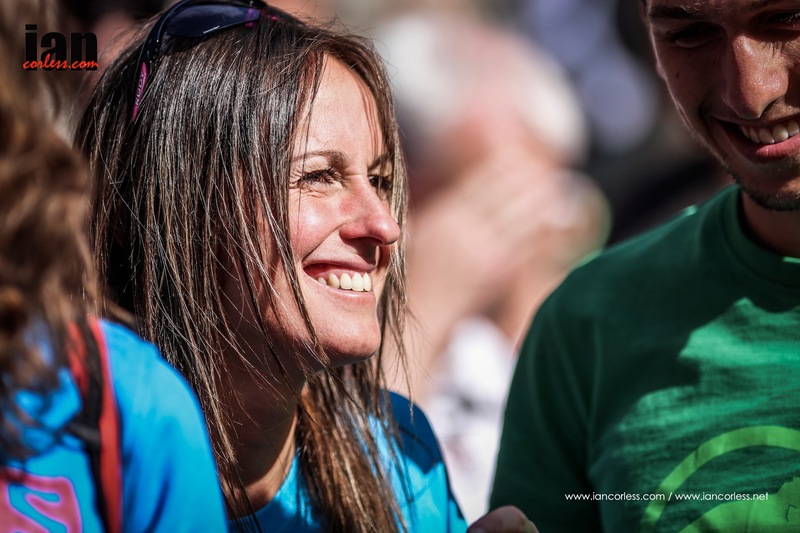 Ida who was victorious at Transvulcania earlier this year opened up a gap in the early stages and extended it and extended it. At halfway, her lead was over 10 minutes and victory was never in doubt. 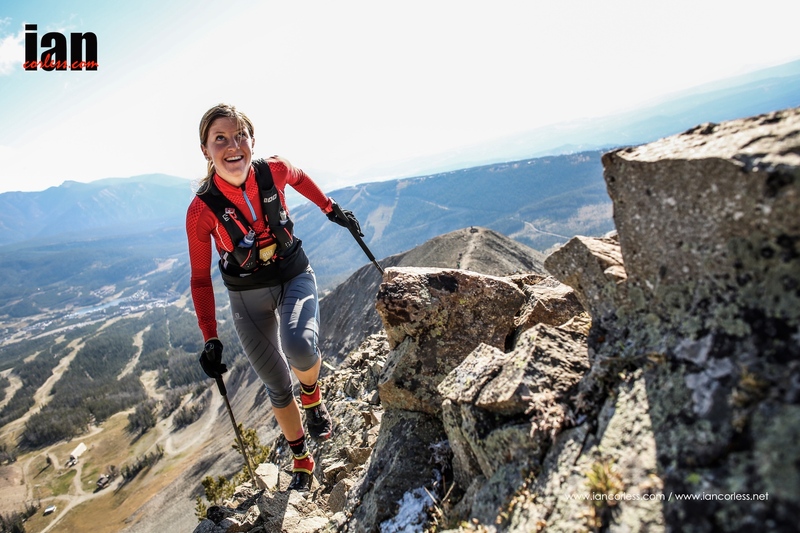 Although some of the more challenging terrain may well have slowed her in the final stages, it was never enough for her to lose such a strong lead, Ida crossed the line in 4:27:30. Anne-Lise held on finishing +16:22 after Ida but just behind Hillary could be seen, the gap after crossing the line just 36 seconds. Kristina Pattison held on for 4th, +22:21. 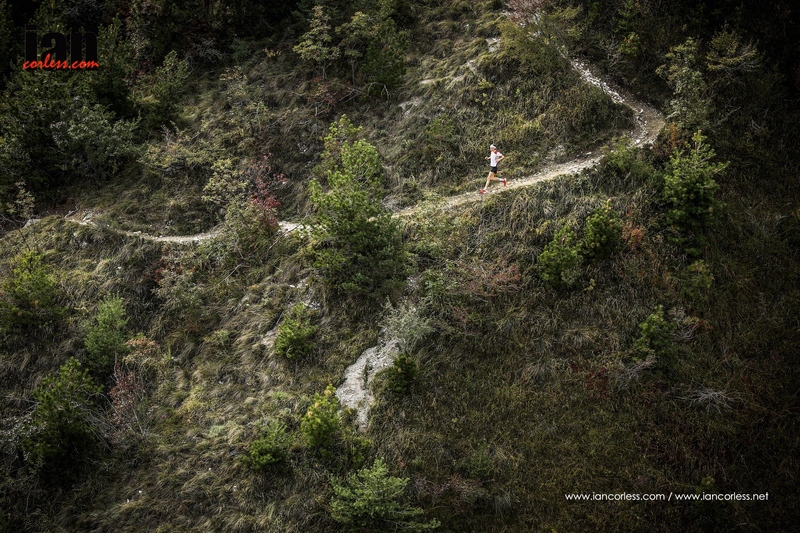 Martina Valmassoi who placed 3rd at the Rut last year withdrew from the race and Anna Comet Pascual finished 8th. 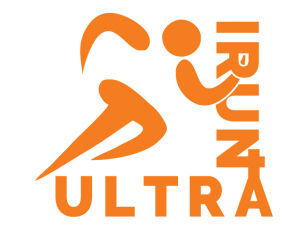 Ultra Pirineu on the 24th September concludes the Ultra Skyrunner® World Series and it’s all to fight for with a 20% points bonus on offer. 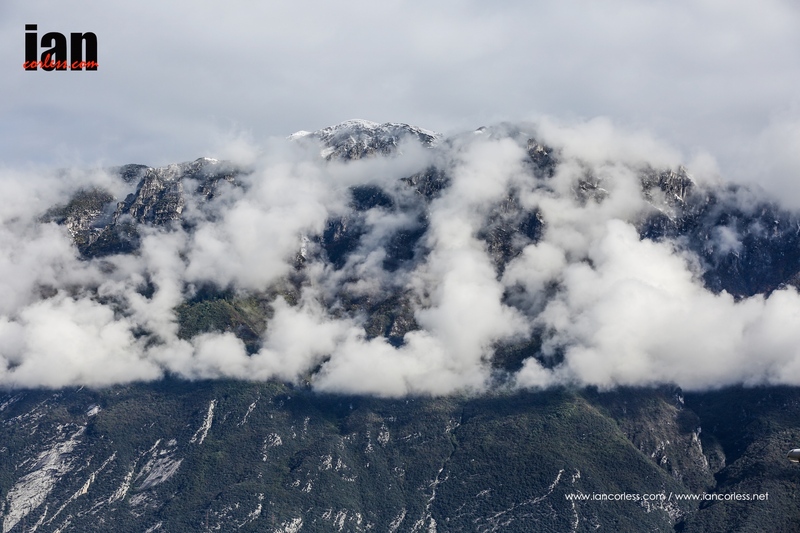 The locations are both well-known ski resorts and now that the snow has almost all gone, they will host participants from no less than 22 nations in the spectacular Italian Alps. 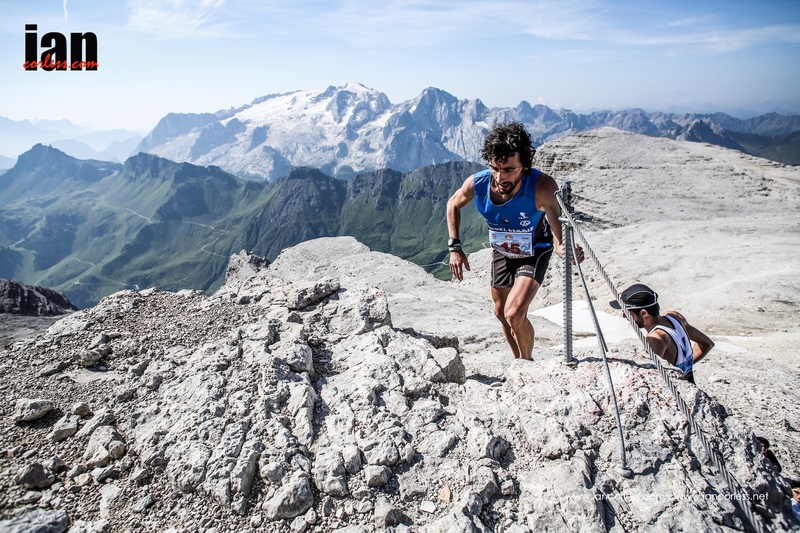 The events will see 10 of the top athletes take on both races – the first being the short steep Santa Caterina Vertical KM on Friday, June 24, followed by Sunday’s Livigno SkyMarathon® – both valid for the Skyrunner® World Series rankings. 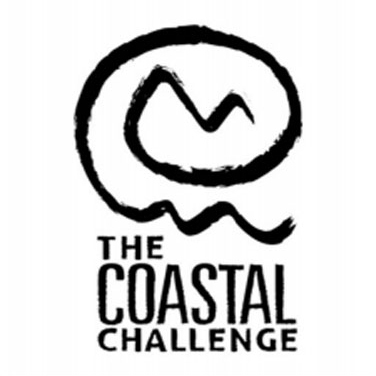 Among the intrepid athletes lining-up for the double challenge are Skyrunning World Champions Elisa Descoand Oihana Kortazar. 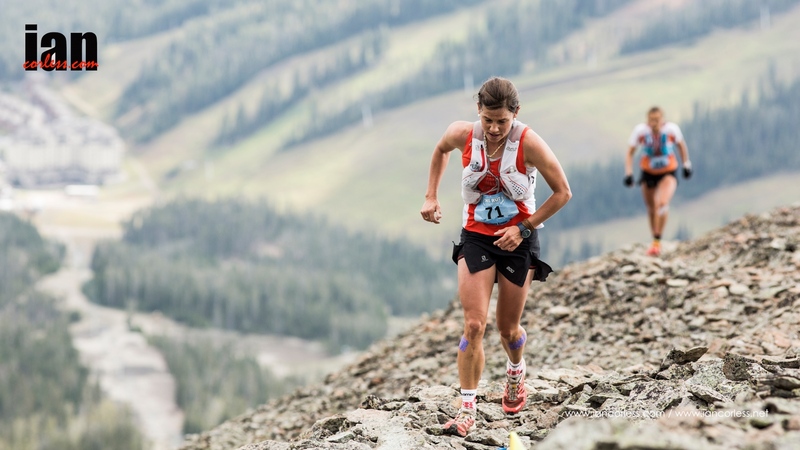 Laura Orgué, Vertical World Champion and winner of both the 2015 Vertical and Sky Series, will be aiming “just” for the VK. 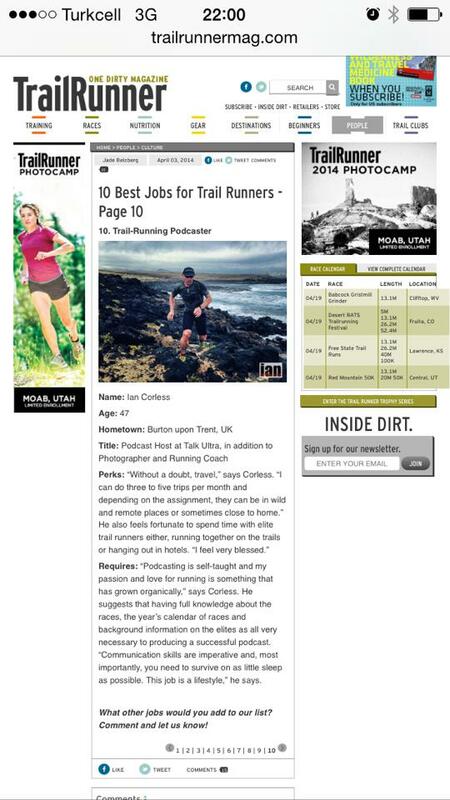 “After four months since my fibula fracture I’m already back competing. However, I’m not ready for the Sky distance yet, but eager to try the VK. I’m aware I’m not on my best form, but just to get a bib for the World Series is especially exciting,” she comments. “Competing makes me feel alive and certainly I’ll give it everything”. 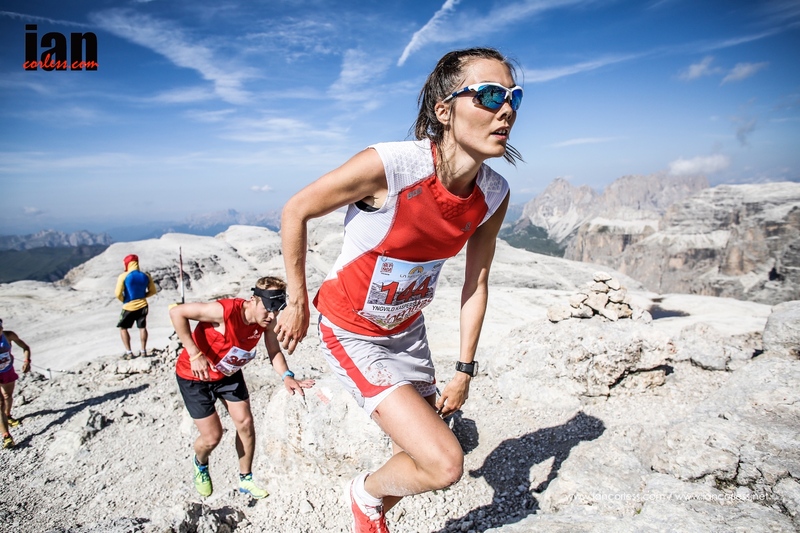 Friday’s VK starts in the village of Santa Caterina and heads 1,000m skywards to the summit of the Cresta Sobretta over a short, steep 3 km course. The records to beat are 35’29” for the men and 43’32” for the women. 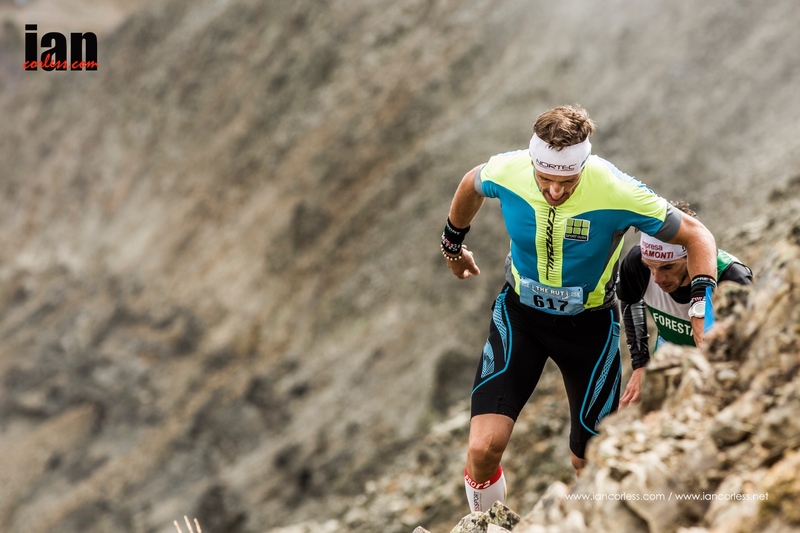 On Sunday the events move to Livigno, or ‘Little Tibet’ as it’s known, the location of the Livigno SkyMarathon® – 34 km long with 2,600m vertical climb. 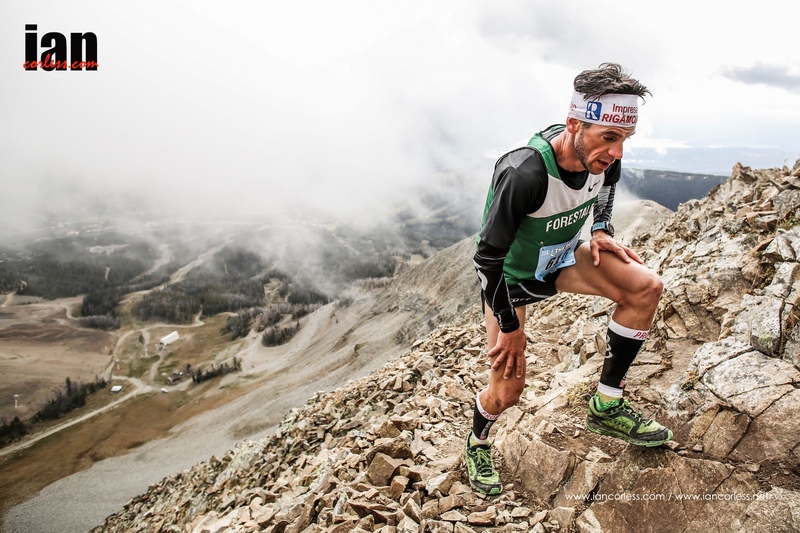 The route weaves through untamed nature in the Stelvio National Park traversing the Swiss/Italian border with technical sections and stretches above 3,000m altitude – all in true skyrunning style designed by the magic hand of top runner Marco De Gasperi, on this occasion, in the role of race organiser. Judging by the top class line-up, he should, indeed, be proud. World Champions Laura Orgué, Elisa Desco and Oihana Kortazar. More top names include Christel Dewalle from France and Italian Antonella Confortola. In the men’s field: Italians Urban Zemmer andMarco Moletto; Slovenian Nejc Kuhar; new-entry Ondrej Fejfar from the Czech Republic; Slovenian Nejc Kuhar; Ferran Teixido from Andorra; from France, William Bon Mardion and Alexis Sevennec; Pascal Egli from Switzerland and Rolf Einar Jensen from Norway. 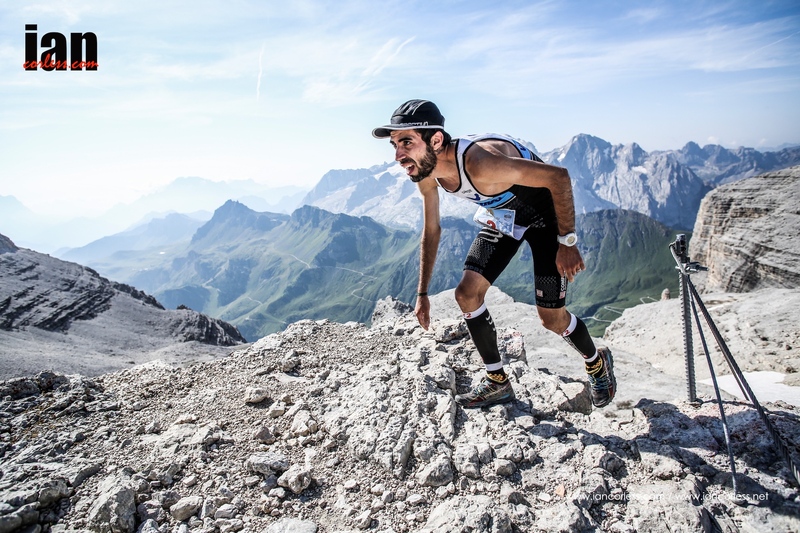 Italian Tadei Pivk and American Megan Kimmel head the current Sky Series ranking, followed by, in the men’s field: Spaniards Aritz Egea, Hassan Ait Chaou, Alfredo Gil Garcia, Sintu Vives, Jessed Hernandez andJokin Lizeaga; from Andorra, brothers Oscar and Marc Casal Mir and André Jonsson from Sweden, new to the skyrunning circuit and loving it! 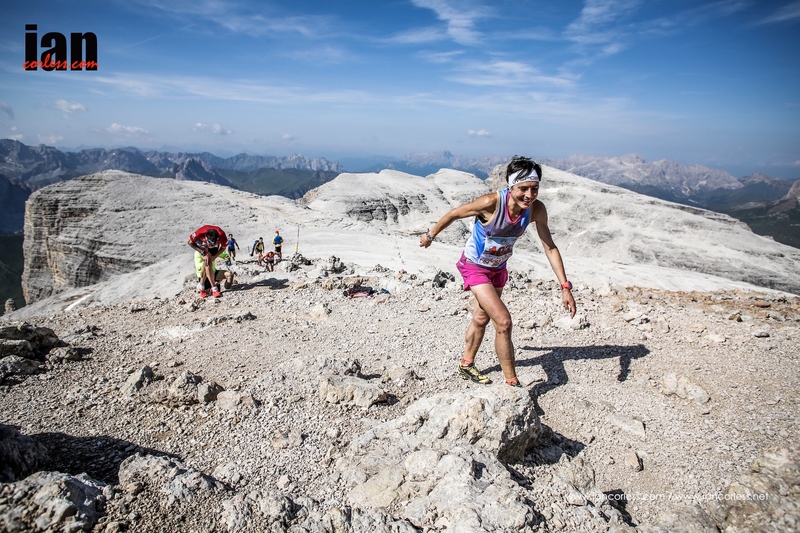 In the women’s field: Spaniards Oihana Kortazar, Aitziber Ibarbia and Italian Elisa Desco. 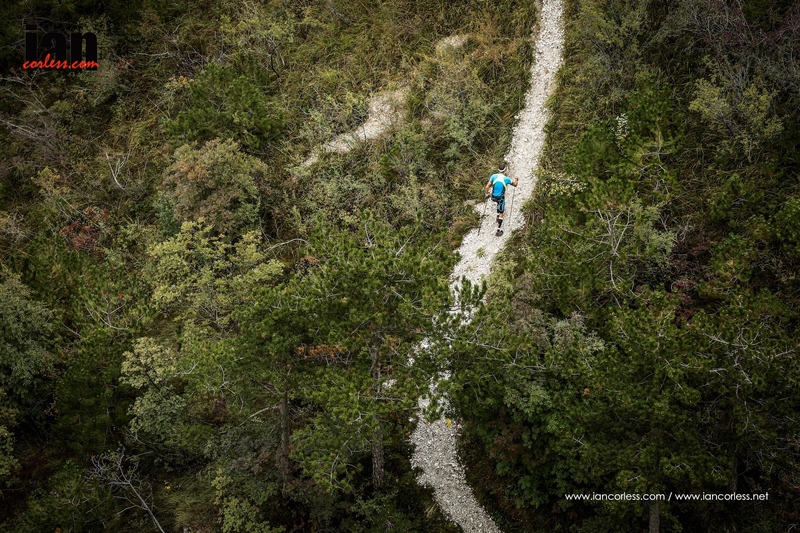 Today, the Basque town of Zegama hosted the 2015 Skyrunning European Championships and it was unsurprisingly the host country that came out tops with a gold, two silver and two bronze medals in this iconic race. Italy took the gold for the men’s title with Tadei Pivk cruising to the finish in 3h51’11”. The women’s European Champion is Azara Garcia who closed in 4h41’23. 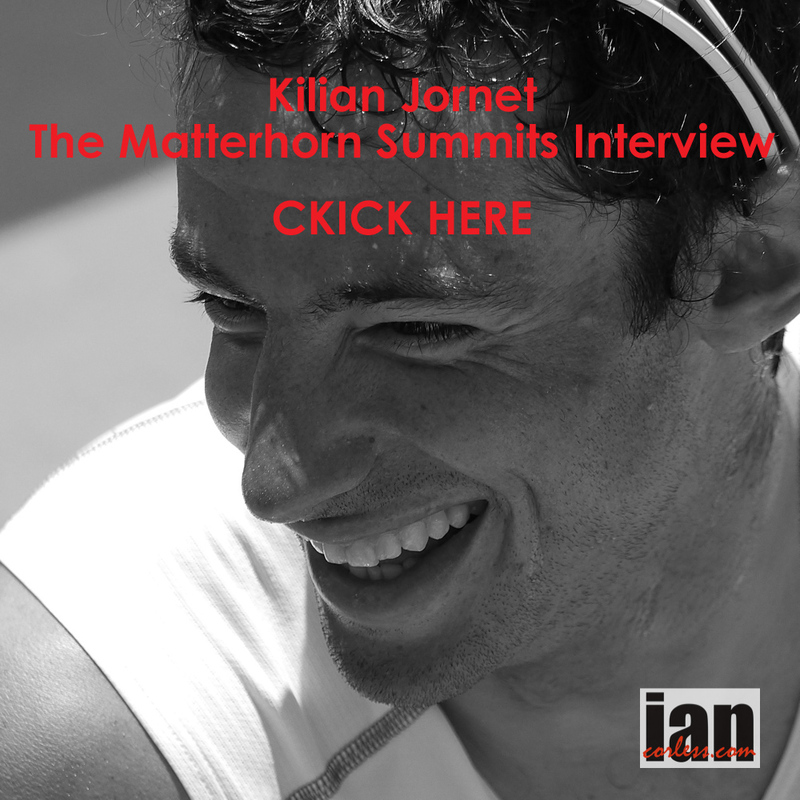 A last minute appearance by Kilian Jornet recently arrived from Nepal added to the excitement of a stellar field. 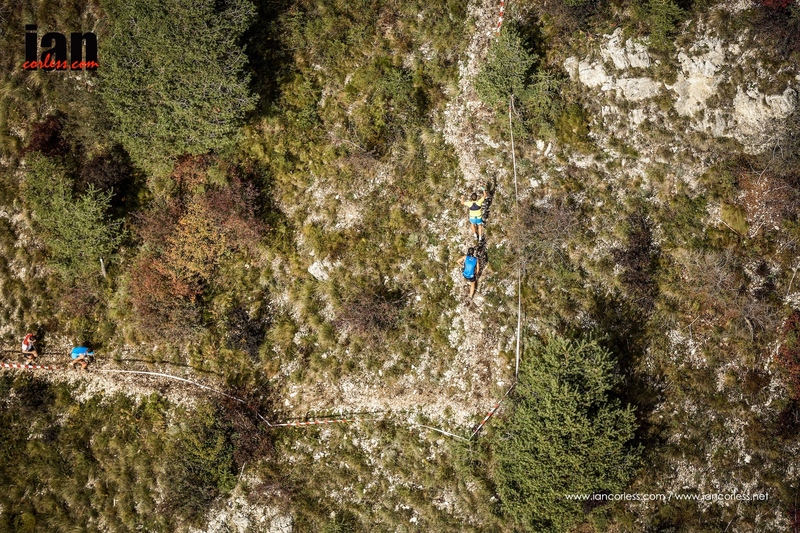 The first half of the race at the famous Sancti piritu aid station, saw Ionut Zinca comfortably in the lead with Aritz Egea, Tadei Pivk and Pere Rulan hot on his heels, followed by Manuel Merillas and Kilian Jornet. At the final summit, the group remained intact. It was the descent that changed the game. 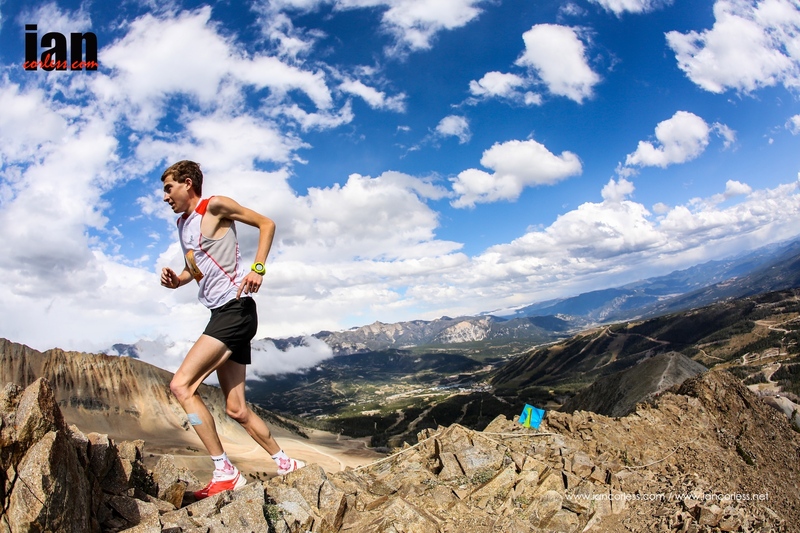 Tadei was alone with Kilian and, feeling comfortable, took his chance to accelerate the pace. “I knew this was my chance. I thought if I accelerate here I can do it. On the last bends I looked back and was alone. I still can’t believe it,” he commented. The men’s line-up finished with Manuel Merillas 2nd and Pere Rullan 3rd completing the gold, silver, bronze medals for Spain. The stacked women’s field started without Maite Maiora, one of the favourites, due to injury. 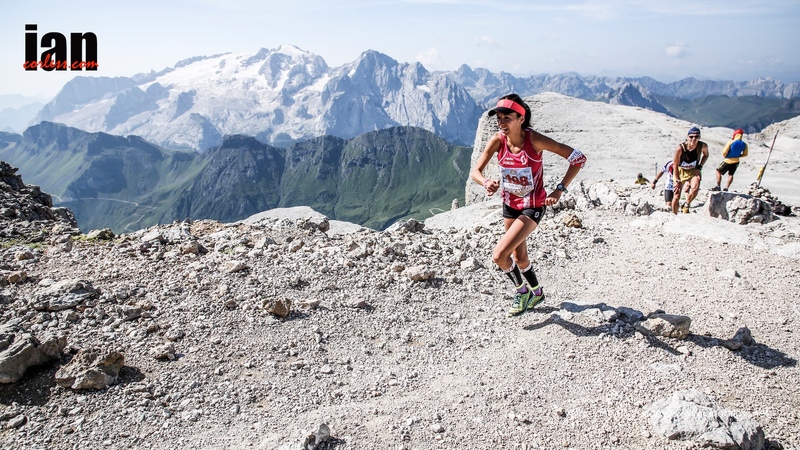 Another strong favourite, Oihana Kortazar led the field and looked strong to the final summit, followed by Paula Cabrerizio, Azara Garcia and Elisa Desco. Again, the descent was the decider. 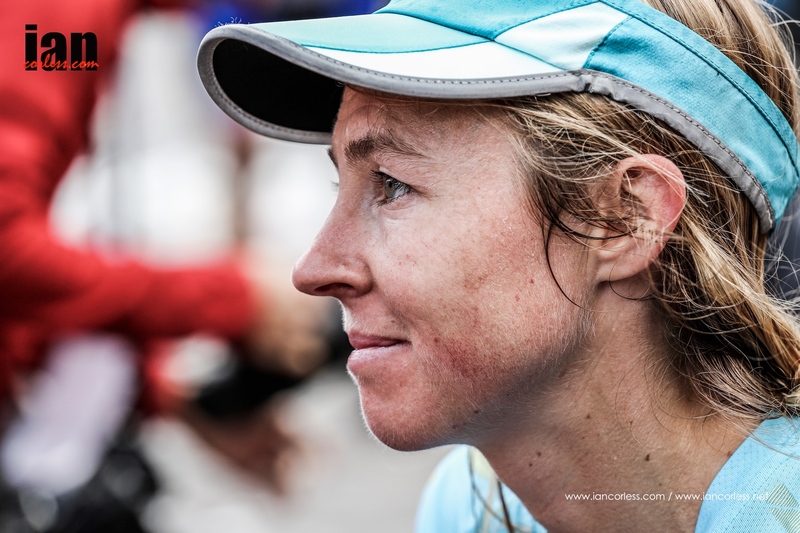 Elisa Desco, 2014 winner and World Champion, gave it her all, possibly too much, and collapsed at the finish line in 6th position. It was to be Azara Garcia’s day, crowned European Champion and taking the gold for Spain. Paula Cabrerizio and Oihana Kortazar were a close second and third respectively. Emelie Forsberg, with the Transvulcania win just a week earlier still in her legs, raced bravely to finish 4th. Yet again the Zegama-Aizkorri, now in its 14th year, was dampened by the weather, but not the spirit of the crowds cheering on the runners, every single one of them, every part of the way along the 42 km and 5,472m ascent and descent. 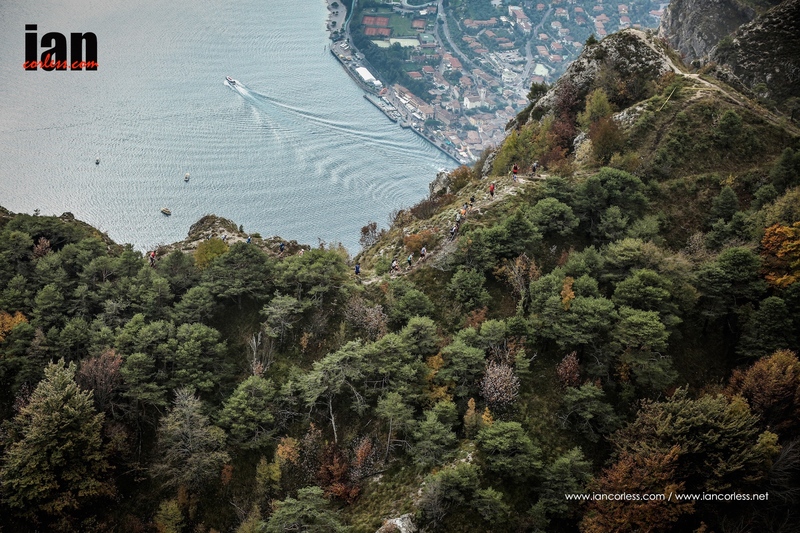 Today’s race represented not only the European Championships for the Sky category, but scored points for the Skyrunner® World Series ranking. 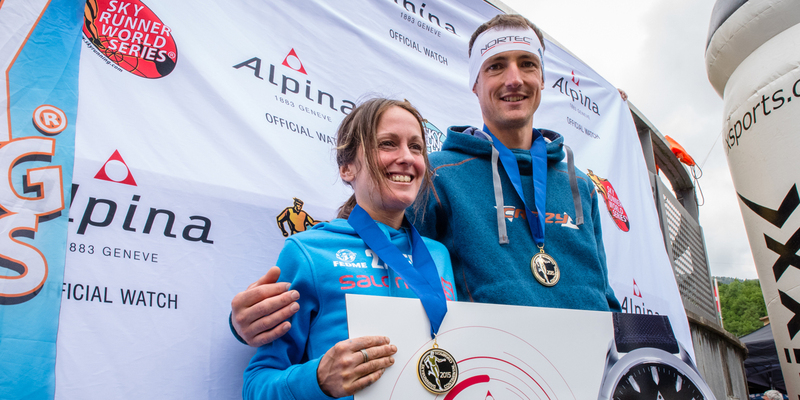 The two 2015 Skyrunning European Champions, Tadei Pivk and Azara Garcia, were awarded a prestigious Alpina Horological Smartwatch, Official Watch of the 2015 Skyrunner® World Series and European Championships.